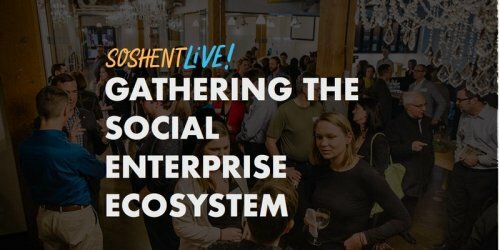 You are invited to help shape the direction of the social enterprise ecosystem in Ontario. April 2018 kicks off new projects and collaborations across Ontario. New funds, platforms, marketplaces, communities of practice, and measurement frameworks are poised to accelerate social enterprise. As well, the Sustainable Development Goals are embraced as a defining framework for measuring global impact. Now is the time for the social enterprise ecosystem to align our efforts to achieve our full potential. We are working towards co-creating a clear and collaborative path forward within this new context to unlock and enable the intermediaries and social entrepreneurs across Ontario to flourish. The social enterprise ecosystem is well positioned to accelerate, scale and grow a marketplace that puts people and planet first. Our opportunity is to align existing and future investments to make a measurable impact towards social outcomes and economic impact in Ontario and to help set the course for Canada. This deep intermediary convening will allow for the exchange of strategies, and sharing of near and long-term development plans. Together, we will discuss gaps and opportunities in the sector, and push forward actionable concepts to evolve the ecosystem. Together, will take the next steps towards a model of operation that provides us with an legitimizing structure that prepares the field for arising opportunities.